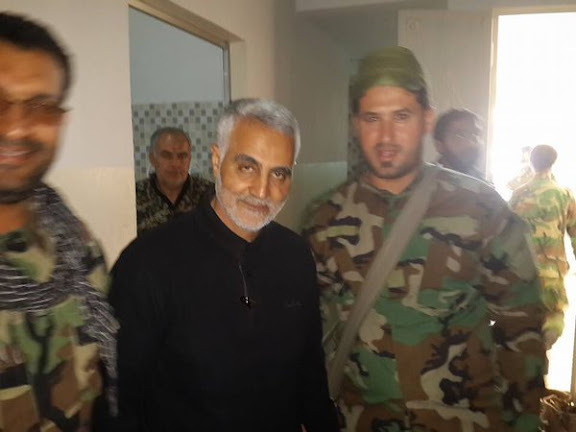 IRGC-QF Commander Maj. Gen. Qasem Soleimani in claimed depiction at Aleppo; photo appearing on social media 09NOV15. Among same series of photos as that above, IRGC-QF Commander Maj. Gen. Qasem Soleimani with Faleh Hassan Khazali (L), leader in Iran-backed Iraqi Kata'ib Sayyid al-Shuhada fighting force. Faleh Hassan Khazali is said to have lost an eye in battle during a previous tour of duty in Syria. Note wall map in background of Aleppo, Syria. 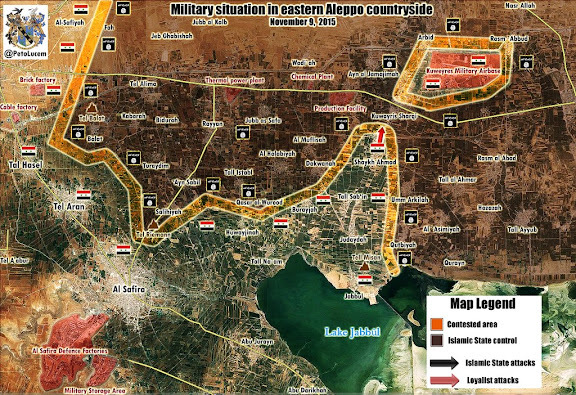 It took the Syrian Arab Army’s “Cheetah Forces” approximately one month to cross 20km of rough terrain and the Islamic State of Iraq and Al-Sham’s (ISIS) defenses inside the Deir Hafer Plains of the Aleppo Governorate; however, this large-scale offensive has finally paid off for the Syrian Armed Forces as they approach the besieged Kuweries Military Airport. 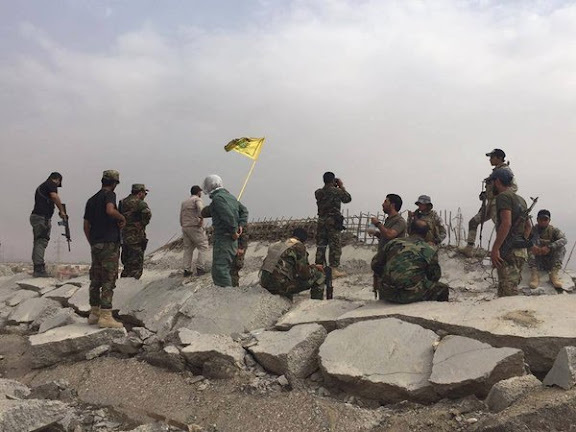 On Monday afternoon, the Cheetah Forces – in coordination with the National Defense Forces (NDF) and Kataebat Al-Ba’ath (Al-Ba’ath Battalions) – finally broke ISIS’ frontline defenses at the northern district of Sheikh Ahmad, resulting in the pro-government forces overrunning the terrorist group’s positions and imposing full control over this strategic town in the Aleppo Governorate’s eastern countryside. The Syrian Arab Army’s 4th Armored Division – in coordination with Hezbollah, the National Defense Forces (NDF) of Aleppo City, Kataebat Al-Ba’ath (Al-Battalions), and several Iranian and Iraqi paramilitary units – recaptured the imperative villages of Talaylat and ‘Aziziyah after a series of intense firefights with the Islamist rebels from Harakat Ahrar Al-Sham, Harakat Nouriddeen Al-Zinki, and Liwaa Suqour Al-Sham on Monday morning. Following the recapture of Talaylat and ‘Aziziyah, the Syrian Armed Forces and Lebanese Resistance entered the rebel stronghold of Al-Hadher with very little resistance from the Islamist rebels of Harakat Ahrar Al-Sham and Harakat Nouriddeen Al-Zinki, who later appeared to combat the pro-government forces as they attempted to press deeper in the southern district of this southern Aleppo city. With the Syrian Armed Forces and the Lebanese Resistance inside the rebel stronghold of Al-Hadher, several Islamist fighters from Harakat Ahrar Al-Sham and the Syrian Al-Qaeda group “Jabhat Al-Nusra” arrived to help out their embattled comrades push back the pro-government forces before they advance any further into this rebel stronghold. 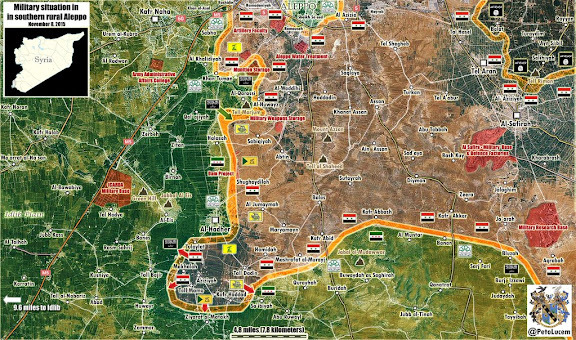 If the Syrian Arab Army’s 4th Division and Hezbollah can take control of Al-Hadher from the Islamist rebel fighters, they will be in position to obstruct the strategic Damascus-Aleppo Highway that leads from the provincial capital of Aleppo to the provincial capital of Idlib; this is considered one of the main supply routes for the Islamist rebels in the aforementioned provinces. 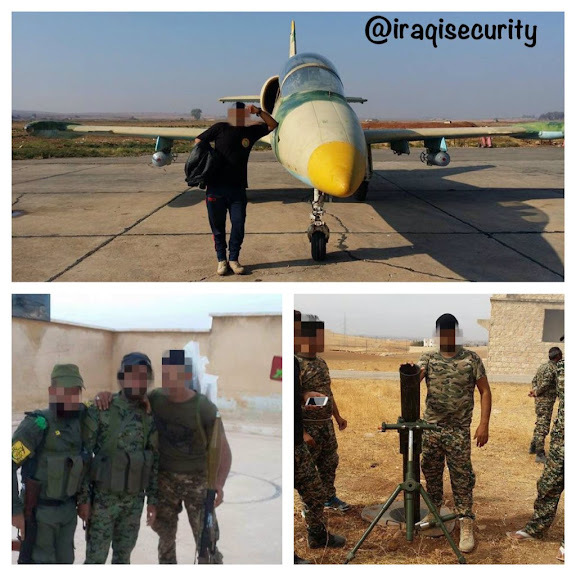 Iran-organized Syrian National Defense Forces, claimed depiction at recently recaptured Ghamam village in Latakia countryside. 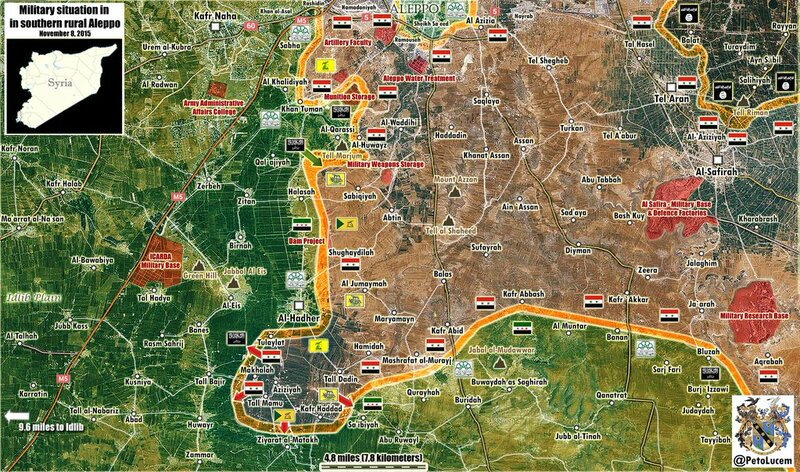 Aleppo will be liberated along with the Kuweiris airbase. 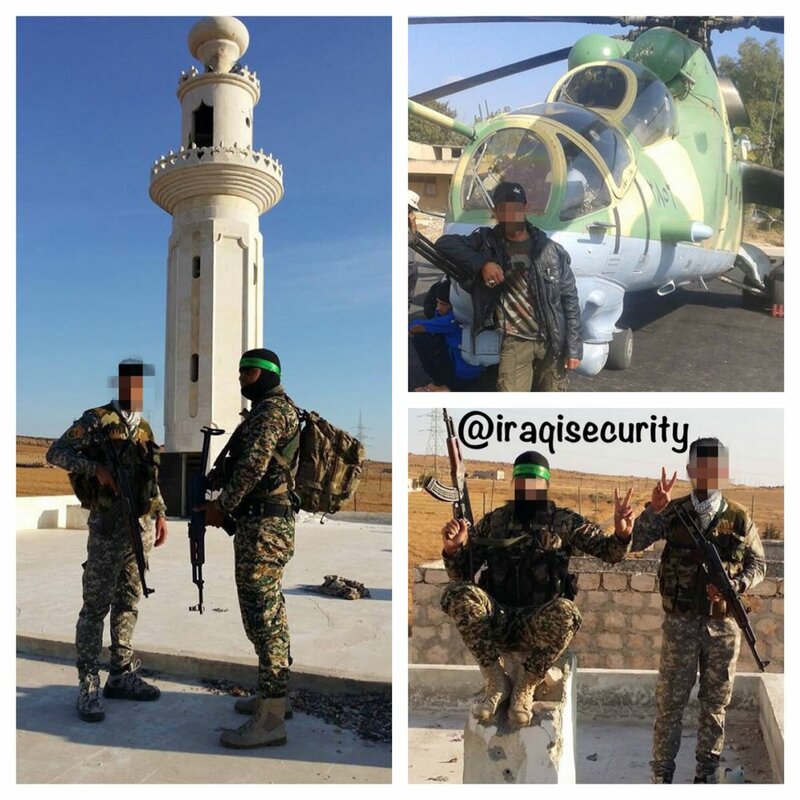 The yellow shoulder patch colors are Hezbollah and the Shia militias. The 4th Republican Guards armored division is very ably led by General Maher al Assad, the President's brother. Russia has delivered T-90 tanks to them and they are fighting with true grit. The SAA has been very impressive in terms of determination and unit cohesion. Their casualties have now been checked and they are inflicting massive losses on the terrorists. Lt. General Maher al-Assad, Republican Guard chief, the president's youngest brother is said to be Syria's second most powerful man and a very professional officer. BBC's reporting that Syrian government forces have captured Kweieres airport .To Hell With ISIL !! Why are they retreating at Hamma and concentrating on Allepo? Yes, I wrote that yesterday just watching the Iranian and SAA/Hezbollah pincer on Al-Manar, Syrian and Russian TV feeds as there was lot of Russian air activity and they used the GROM (Thunder) FAE quite liberally as there a dead Wahhabi terrorists all over. The Iranians used the Takavaran (special forces) from regular Artesh in Aleppo with just a major martyred and few casualties. The Russian helo cover looks extensive and they are stinging like angry hornets. If they keep on repeating this pattern then the terrorists are done. The Russians are angry after their civilian plane went down and they are vindictive people and will now take the gloves off. There are over 5000 Russian ground troops in Syria and the SAM umbrella is moving east towards Iraq. They are not retreating all, ISIS got hold of one kms of road near Homs and the Russians fried them. The Russians want the SAA to secure all of western Syria so that is beyond the terrorists artillery and rocket range. Next phase will be grid pattern COIN towards Raqaa after it has been flattened, the Russians and Iranians are in no mood to play nice. A major helo assault is on the works and that is securing airbases is top priority. Russians are very good military strategic planner, very patient and methodical. Look at their history. 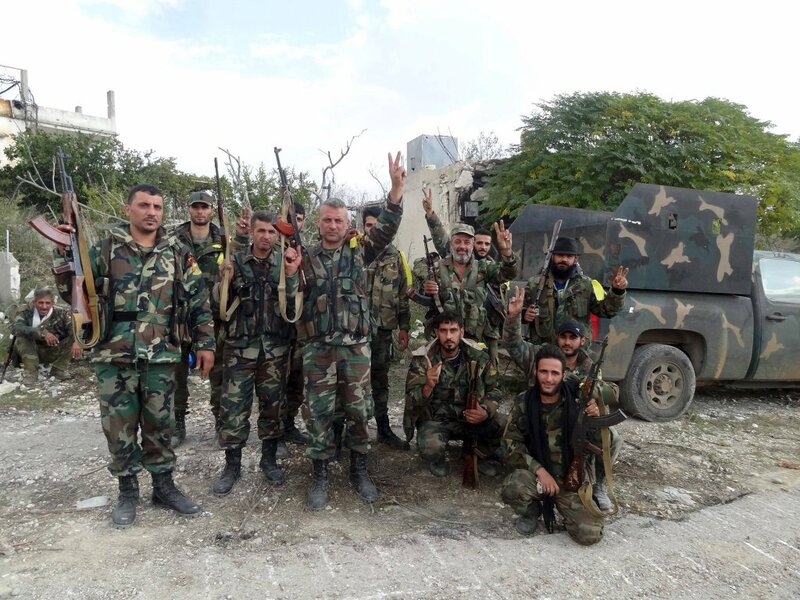 They are not retreating from any battle field in Syria,Hezbollah, and the elite Tiger forces have been dispatched to Hama, and Hama will be Liberated soon, Hezbollah never retreats, 335 sq, km taken back in one month that is awesome, and Imagine the battle experience and counter insurgency expertise these guys are getting. This is truly remarkable stuff. They will not only uproot the the insurgents, they'll hold and keep the territory, and establish troops at the Turkish Syrian border. And the Russians, Chinese, Germans, the Swiss and other Eastern European Nations, will follow Russia and China's lead to put pressure on Turkey, Jordan, and Gulf Arabs to stop supporting ISIS. This War will soon be over. Another picture from the vain and useless idiot. Trust you are happy to see better helmets and body armor on the frontline? It is an important factor. It does embolden a fighter. Hey, I like many people believe that the GCC countries more or less support ISIS and others in the Sunni Jihadi rebel movement. My question to you and Mr Uskowi and any other contributors 1) Is there any reports of any rebel groups being supplied with any MANPADS? 2) If so why aren't they working? really. 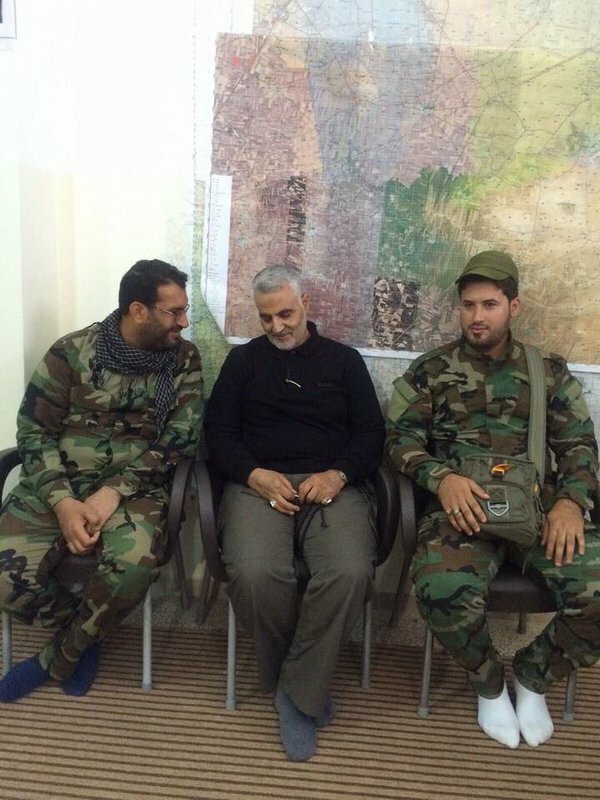 Soleimani has done more for Iran, Iraq and Syria than any other armchair generals criticising him. With respect think before engaging the keyboard!